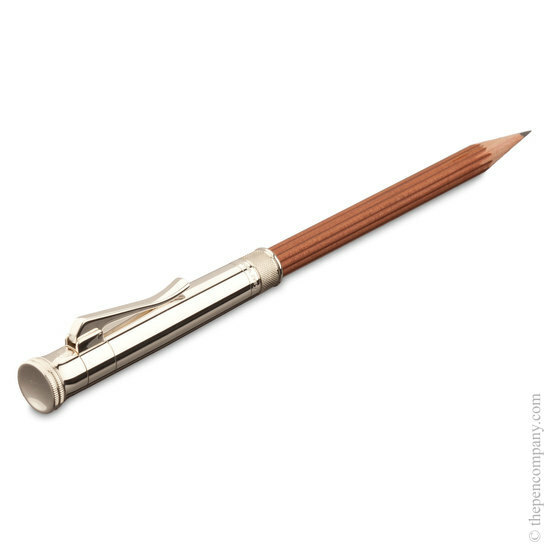 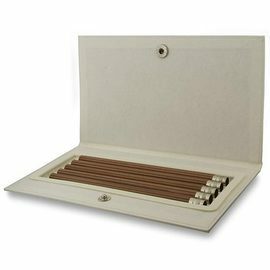 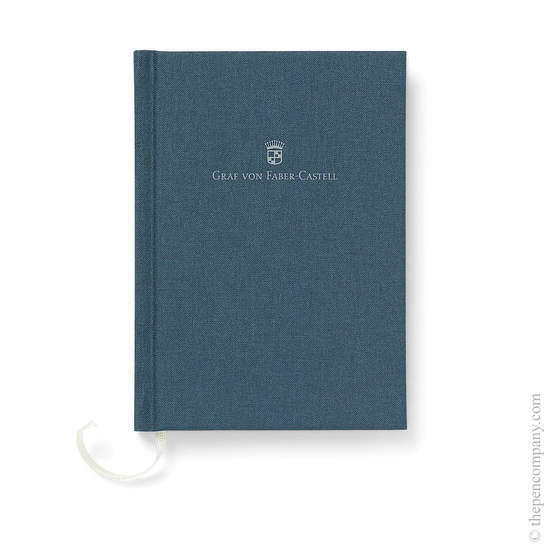 This sumptuous solid silver variation of Graf's Perfect Pencil features a double knurled solid Sterling Silver extender to complement the fluted brown cedar wood pencil. 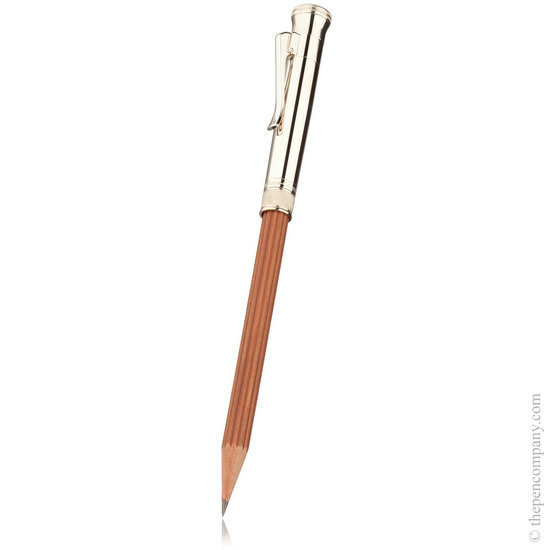 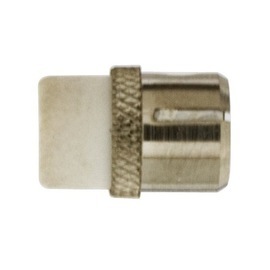 The sterling extender features an articulated clip and cleverly conceals a pencil sharpener. 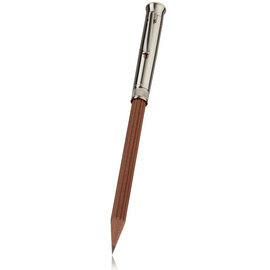 At the opposite end a replaceable eraser is hidden beneath the end-cap of the pencil.